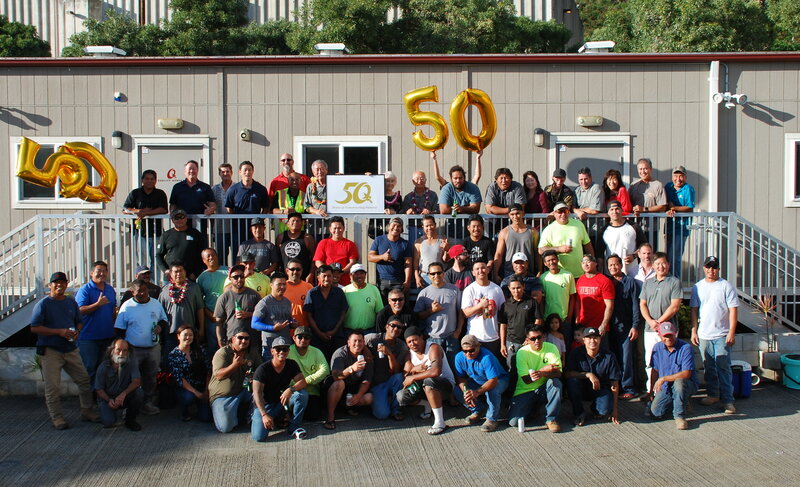 Quality General – Setting the standard in quality and service in Hawaii's construction industry for 50 years. 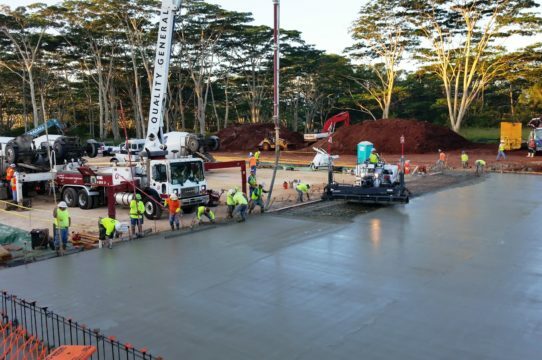 Hawaii's construction industry for 50 years. 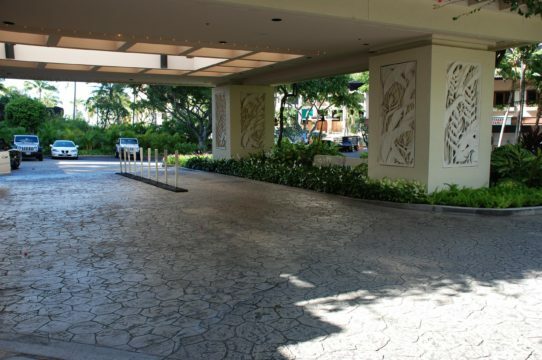 Quality General is Hawaii’s industry leader in concrete and masonry, from large Industrial/Site/Building Foundation and Cast-in-place Vertical work; to CMU, CRM, Pavers, and Veneer. 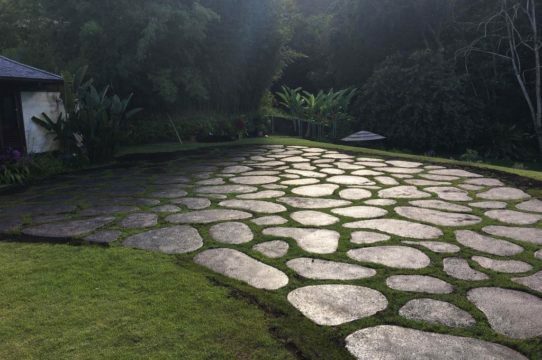 We are specialists in Pervious Pavements, Architectural decorative stamped and textured concrete. Our highly skilled team strives to deliver excellence. With our in-house staff of engineers, we collaborate with design consultants to build functional, energy efficient and economical projects that stand the test of time. 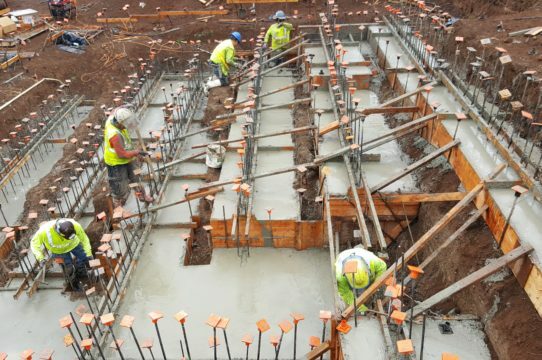 We aim to advance industry standards, maximize efficiency and quality by training our teams to use state of the art equipment, including hydraulic mast climbing platforms, Somero Concrete Laser Screeds, Concrete Boom Pumps and more. In 1969, Stan Wada & Morris Angelo had a vision of quality people providing quality workmanship with quality service. Today, this vision is kept alive with the latest technology and commitment of completing quality projects for our increasingly demanding and competitive construction industry. Our state of the art equipment is leading the industry in providing a more efficient and quality product. 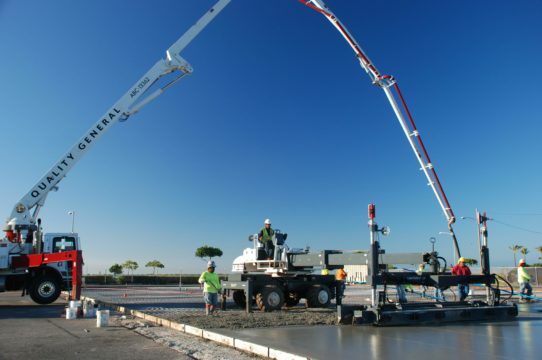 Our Laser screeds, Hydromobile mast climbing platforms and concrete boom pump are a few of the advantages in getting your job completed in a cost effective and efficient manner. 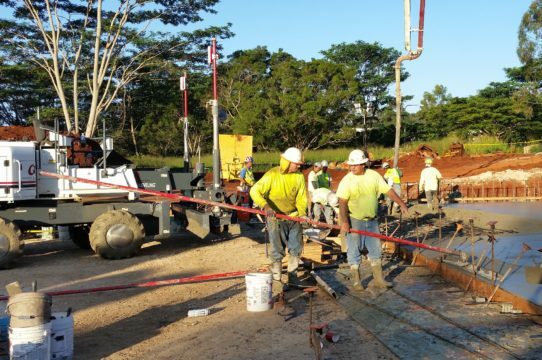 We were the first contractor to utilize the Hydromobile™ (hydraulic work platforms) in the state of Hawaii as a user and licensed distributor. 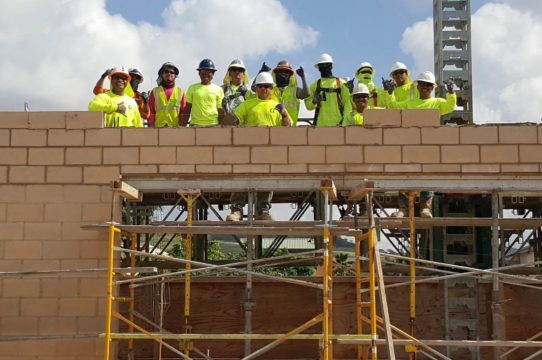 Highly trained with over 50 years of experience, the Quality General team strives for more education and continuous development which sets us apart from our competitors. Uncompromising dedication to details, service, and value driven design. At Quality General, our people are our business. We are invested in providing a safe, positive, and nurturing work environment for our employees, and believe in providing support and resources to enhance their quality of life. 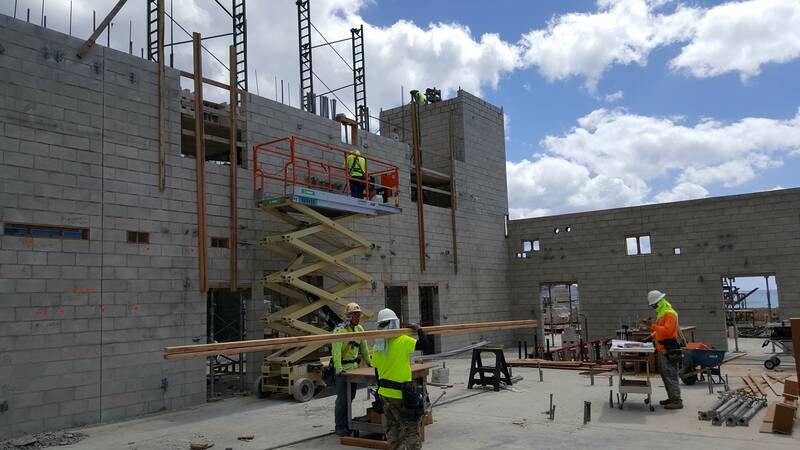 Quality General is committed to utilizing external resources and specialists to assist our in-house safety division in educating, training and certifying with the latest safety information, procedures and standards. Team building and education is crucial for our teams’ success. We regularly hold training classes to implement innovative concepts and techniques to support our team at every personnel level of our company in all facets of life. Subjects range from industry knowledge (plan reading, surveying, craftsmanship) to personal growth classes and more. Constructing futures with rewarding careers, success and competitive advantages. Visit our Events page to see a photo gallery of company sponsored events from, golf to bowling, fishing to holiday parties. Safety is our highest priority. Our safety department is continuously providing education, resources, and support to create the safest environment for our team. 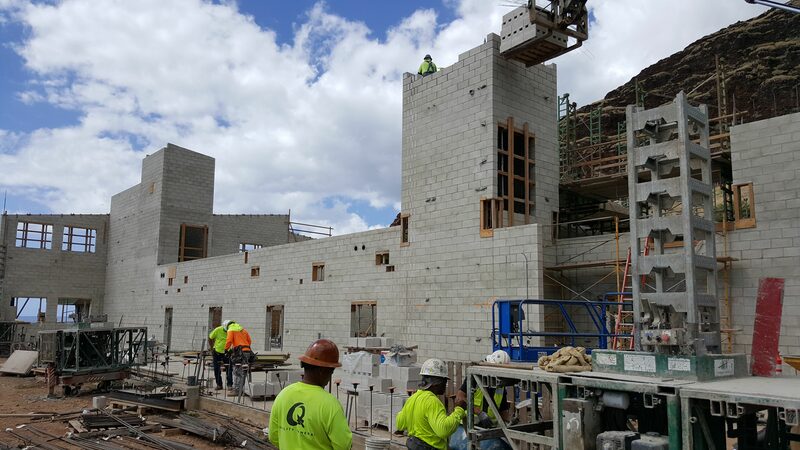 Quality’s Project Superintendents and Foremen are essential partners to our safety department to ensure all of our employees are trained with the knowledge and skills required to safely plan our work on a consistent basis. We pride ourselves with the latest Technology and Equipment so we can engineer controls to provide a safe working environment. Quality General has outside Safety Consultants and Coordinators that industry certified to provide additional resources for our Superintendents and Foremen. 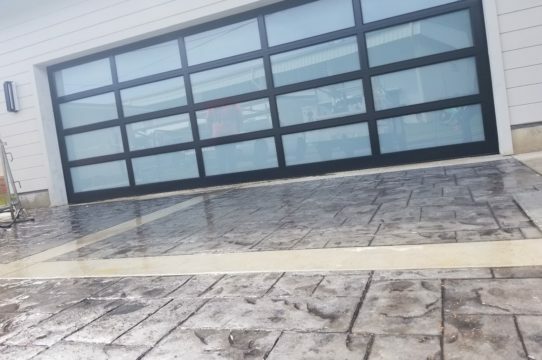 From General Contracting to Concrete and Masonry, we are proud to share some of our favorite projects.